As America continues to process the Jussie Smollett controversy, outspoken former pro basketball star Charles Barkley cracked jokes about the incident with his fellow co-hosts on TNT's NBA halftime show. As America continues to process the Jussie Smollett controversy, outspoken former pro basketball star Charles Barkley raised eyebrows with his perspective Thursday night. During halftime of TNT’s coverage of the Houston Rockets-Los Angeles Lakers game, commentators Barkley, Shaquille O’Neal, Kenny Smith and Ernie Johnson were considering a list of possible NBA scenarios as the league’s playoffs approach. At one point, they were asked which scenario had no chance of happening. “Two black guys beating a black guy up,” came Barkley’s reply, in an apparent reference to the Smollett case. The remark drew nervous laughter from his co-hosts and off-camera staffers. “Just thinking out loud,” Barkley added. 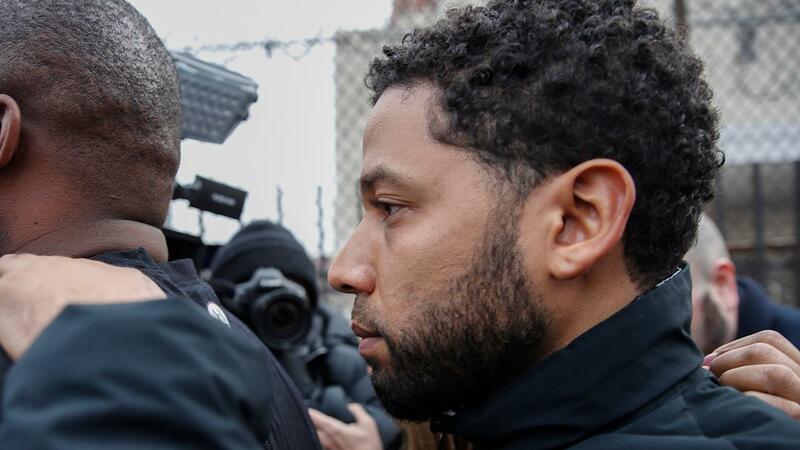 Later, Barkley alluded to reports that Smollett had allegedly written a $3,500 check to pay for two men to attack him. The comments drew more laughs and head-shaking from Barkley’s colleagues. Before a commercial break, Barkley offered some advice directly to Smollett. Neeson made headlines of his own recently for saying he developed an urge to kill a black man after learning that a friend had been raped by a black suspect. The actor’s remarks drew swift backlash.